With my keg of Cascadian Dark Ale getting lighter and lighter and the weather in Austin finally getting cooler, I started thinking about a good winter beer. 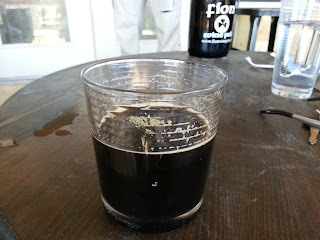 A local microbrewery here in Austin, (512) Brewing, produces an exceptional Pecan Porter, something that I often enjoy a pint of in and around Austin. I thought this might fill my dark keg nicely! I recently picked up a digital thermometer with a built-in count down timer. This thing comes in very handy for all aspects of a brew day. It seems accurate enough to me. 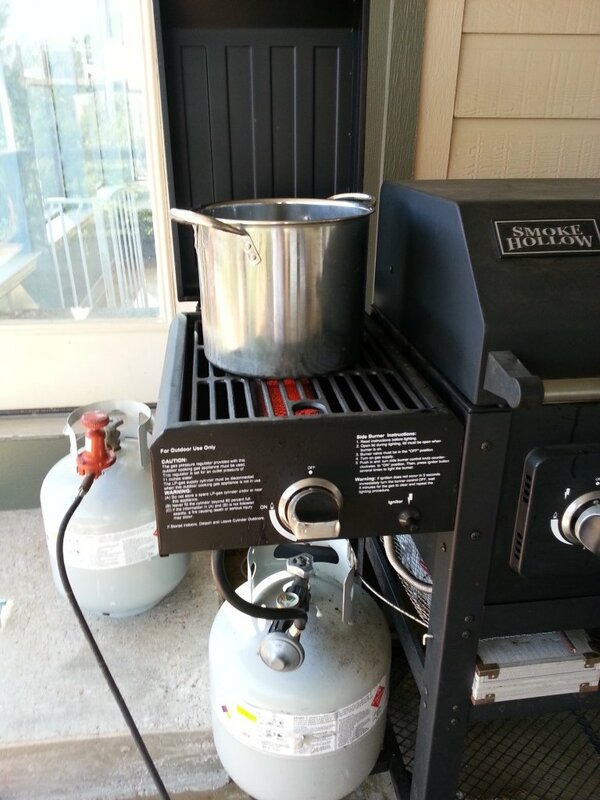 So as not to disturb my soaking grains on my propane burner, I use the searing burner on my propane grill to heat my sparge water to 170oF. So far, all of my brews have been "mini mash", which means that I soak a couple of pounds of malted grains. 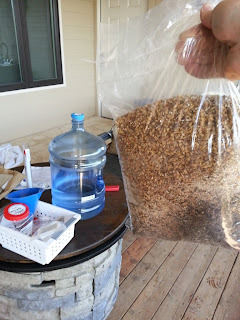 These are placed in a mesh bag and soaked in 155oF water for about 45 minutes, but this doesn't provide all of the sugar necessary for the fermentation. 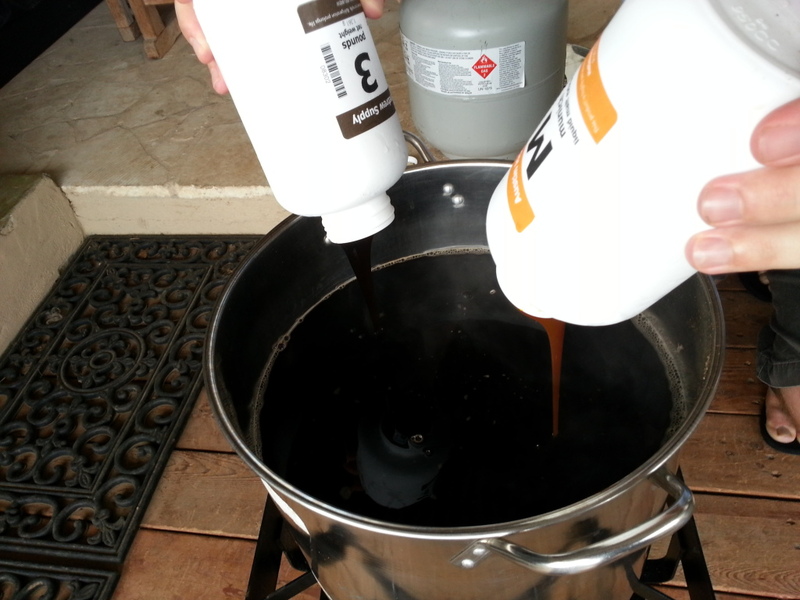 To supplement that sugar, I usually add a couple more pounds of liquid malt extra to the boil. 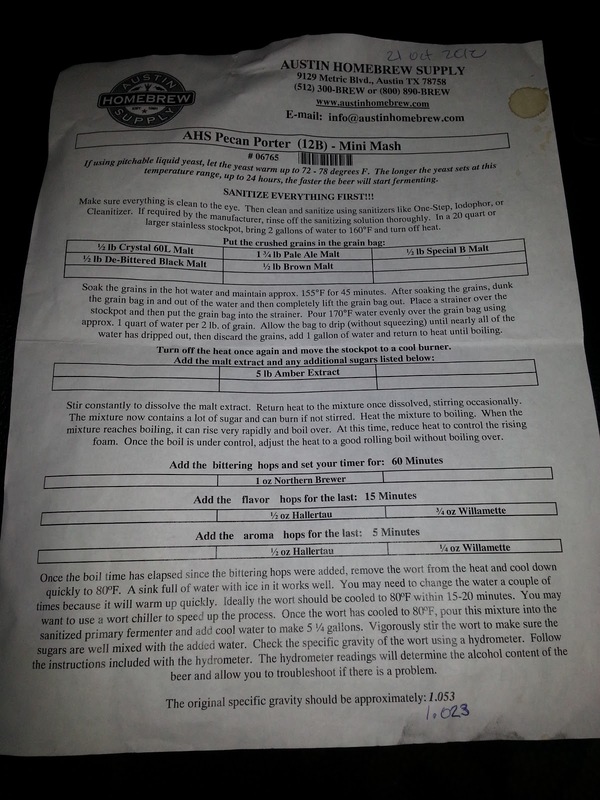 The recipe, which I typically buy from Austin Homebrew, specifies all of the details. 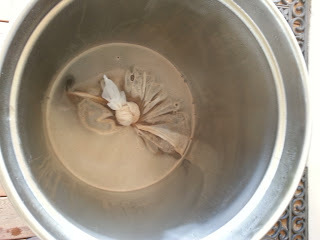 After the boil, I typically cool my wort in my utility sink in my garage. 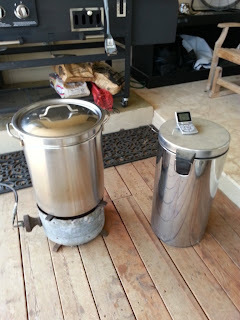 I fill the sink with ice and water and try to get my wort down to 80F as quickly as possible. 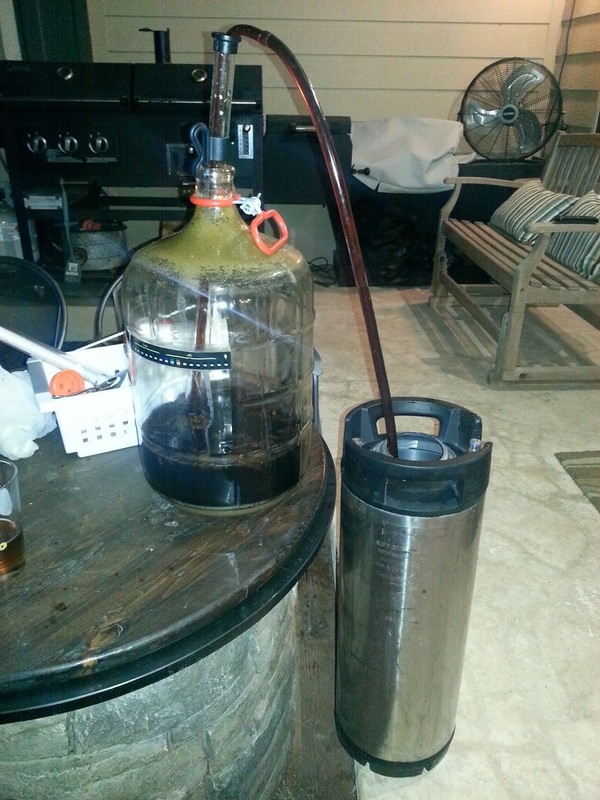 After that, I typically siphon the wort down into my carboy, just before adding the yeast and beginning fermentation! 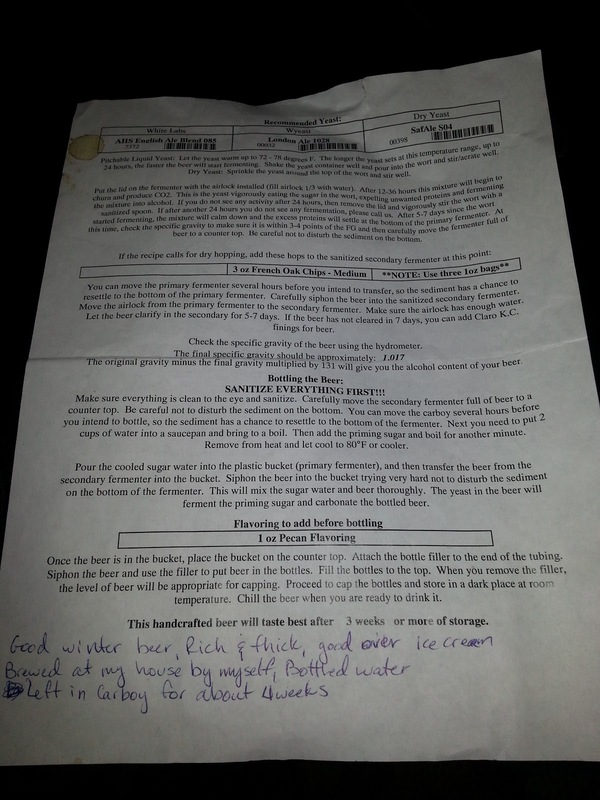 This beer was actually the first one I brewed using a second stage fermentation. 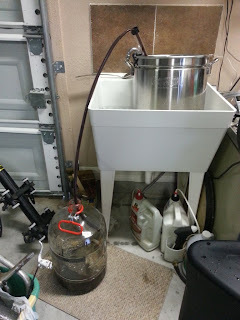 This was a little bit of a pain, since I only had one carboy. 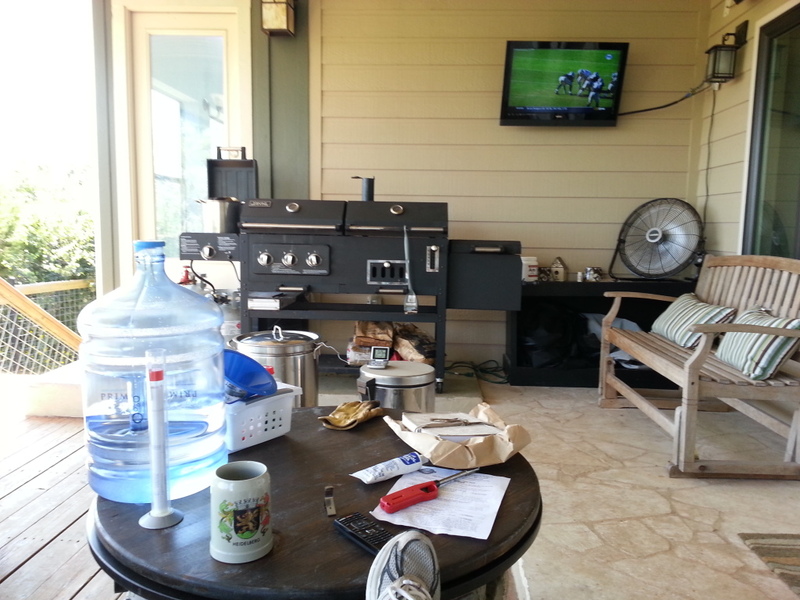 I siphoned it out of the carboy, back in my sanitized stainless steel kettle, cleaned and sanitized the carboy, and siphoned it back in. 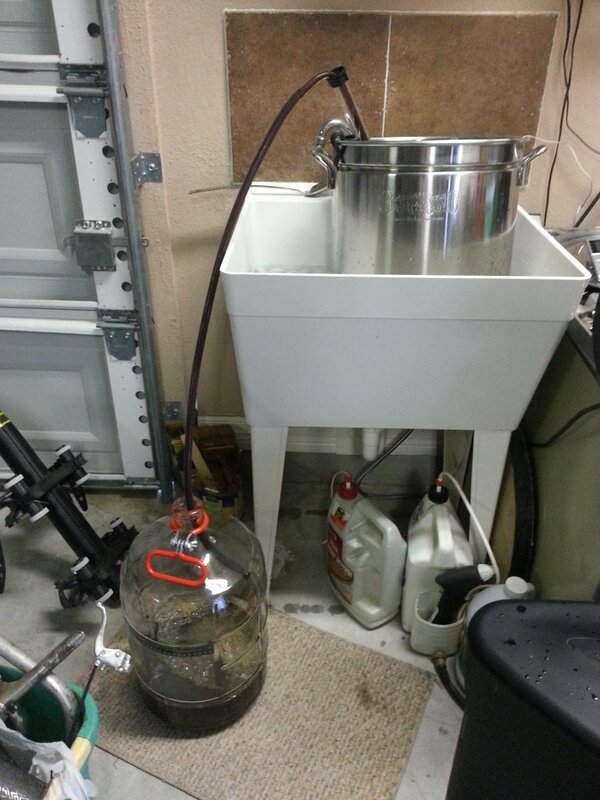 I've since bought a second carboy and that helps tremendously! This recipe actually called for two more ingredients to be added to the secondary fermentation -- 3 ounces of bourbon soaked oak chips and a tiny vial of pecan extract. 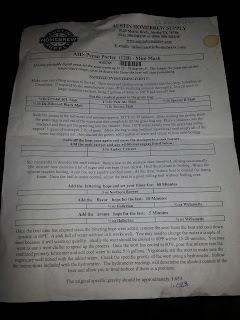 With both stages of fermentation, this beer rested for a total of 4 weeks, while I was traveling (Washington DC, Denmark, and Sweden). 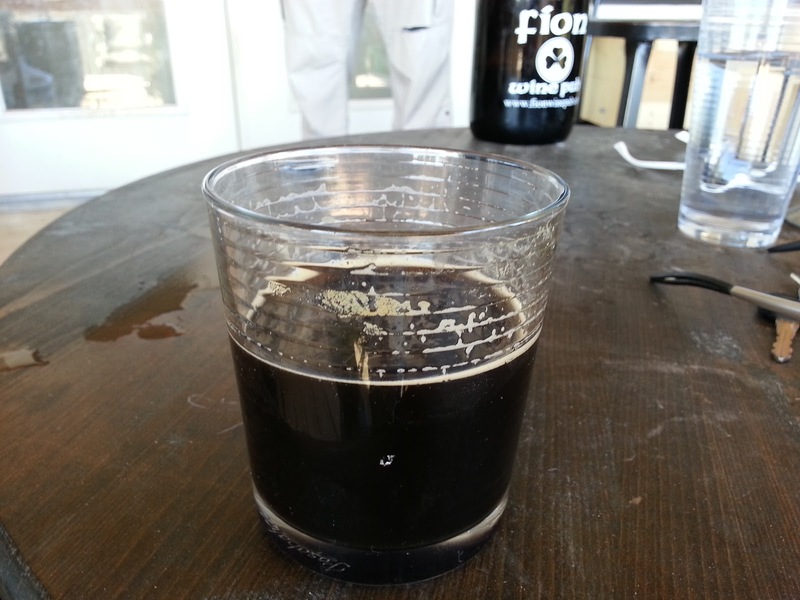 I was delighted to see how thick and deliciously viscous this beer turned out, upon kegging. 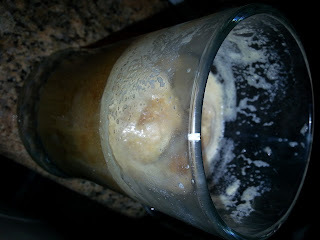 It would take a few days to full carbonate, but once carbonated, this was an absolutely delicious beer. A perfect for Christmas and winter. A completely opaque, brown color, with a nice creamy, tawny head, it tasted just fine on its own or even for dessert (over vanilla ice cream! ).